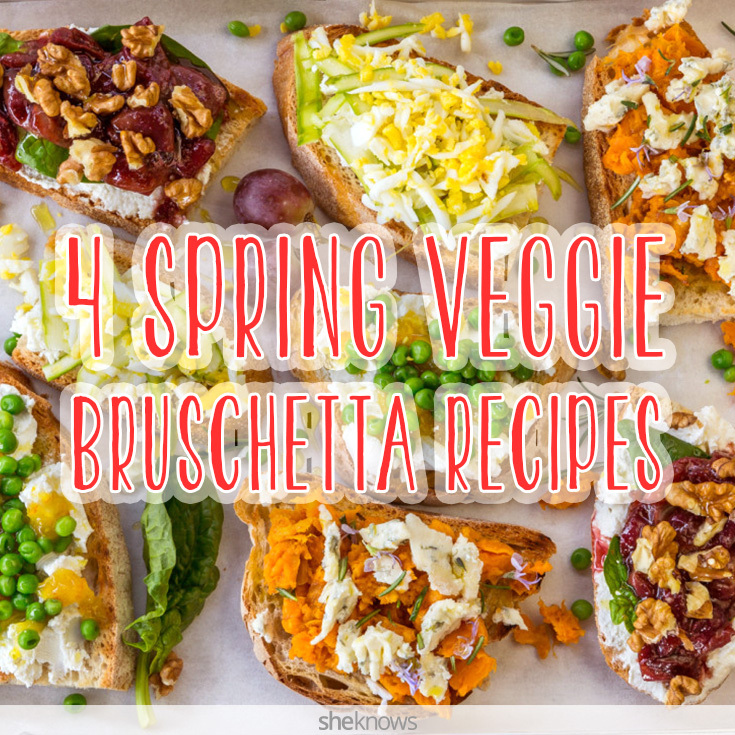 Play up spring flavors with these easy and fresh cheese-and-vegetable combination toppings for bruschetta. Because spring is already in the air, the desire to have lighter and fresher food is brewing. When the snow melts, we strip off our heavy coats and mittens, and we look for vibrantly colored, fresh vegetables combined with delicious ingredients. 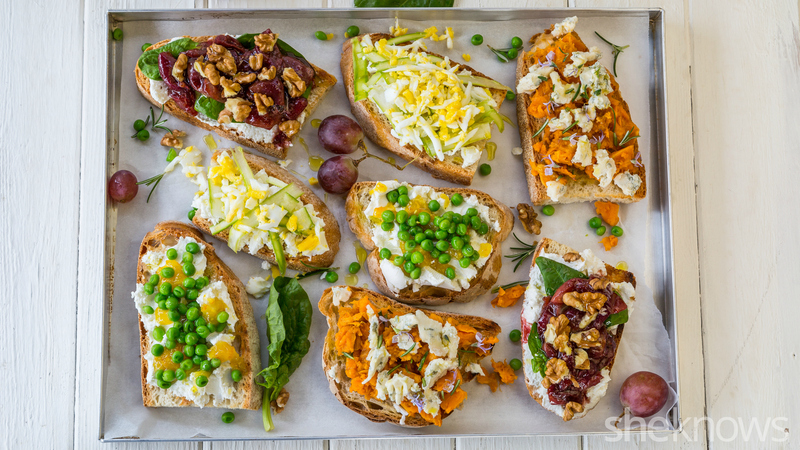 Here are four kinds of bruschetta with cheese-and-vegetable combinations. They all have exciting flavors but require simple methods of cooking, because after all, bruschetta is supposed to be a simple and easy appetizer of any topping on toasted bread. The kind of bread you use plays a big role in making the bruschetta taste good, so choose sourdough or similar types. Drizzling extra-virgin olive oil on top of the bread not only traps moisture, preventing the bread from becoming soggy, but it also gives that perfect taste bruschetta should have. 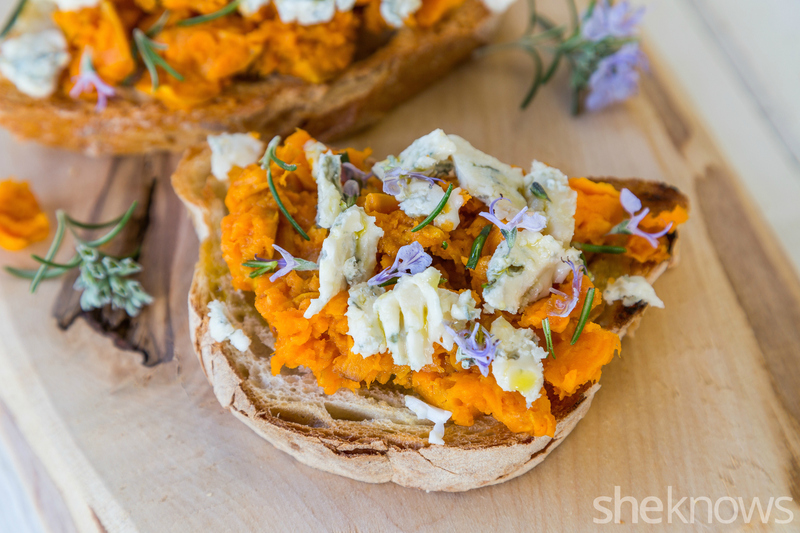 If you are a fan of sweet potatoes, then this delicious combination of Gorgonzola and fresh rosemary will grip you. The only “big” work here is roasting the sweet potatoes in the oven for 30 minutes. On an oiled baking dish, place the sweet potatoes, then drizzle with the olive oil, and sprinkle some salt. Bake for 30 minutes or until the sweet potatoes are tender, and then mash them. Toast the bread in the oven. Drizzle 1 side of the bread with olive oil, and then spread the sweet potatoes on top. Distribute the Gorgonzola, and sprinkle with the fresh rosemary. Drizzle with more olive oil if desired. 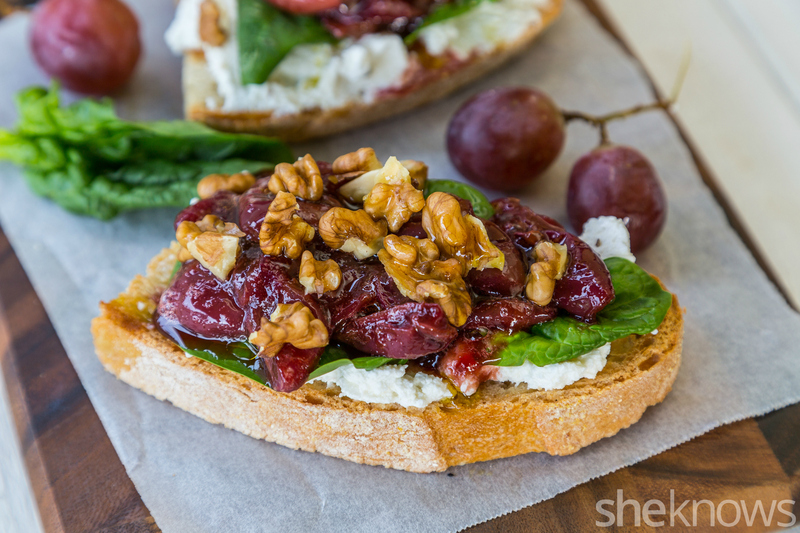 With the lovely flavors of grapes cooked in port wine and the ricotta, this bruschetta is just bursting with great flavor. The walnuts and fresh baby spinach cut down the sweet edge of the grapes by a fraction and blend well with everything in one bite. In a small, thick-bottomed saucepan over medium heat, combine the grapes and sugar, and cook for 10 minutes. Pour in the port wine, and cook for another 10 minutes or until the liquid is reduced and lightly thickens. Set aside, and let it cool down. Toast the bread on a barbecue grill, a griddle, in an oven or in a toaster. Drizzle 1 side of the bread with olive oil, and then spread the ricotta on top. Distribute the spinach on top of the ricotta, and then add the grapes and walnuts. 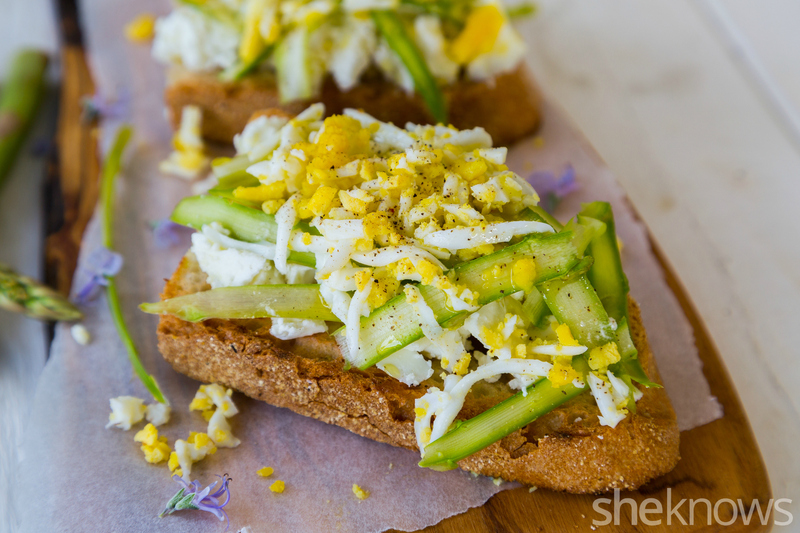 Delicate flavors with the freshness of shaved asparagus give this bruschetta a peek of how spring tastes. The addition of Parmigiano-Reggiano gives it a boost of flavor. Toast the bread on a barbecue grill, griddle, in an oven or in a toaster. Drizzle 1 side of the bread with olive oil. Sprinkle the feta on top, then add the shavings of Parmigiano-Reggiano and asparagus. Grate the egg on top of the bruschetta, and then sprinkle with salt and pepper. The slight saltiness of the goat cheese and sweetness of the marmalade create an incredible contrasting combination. 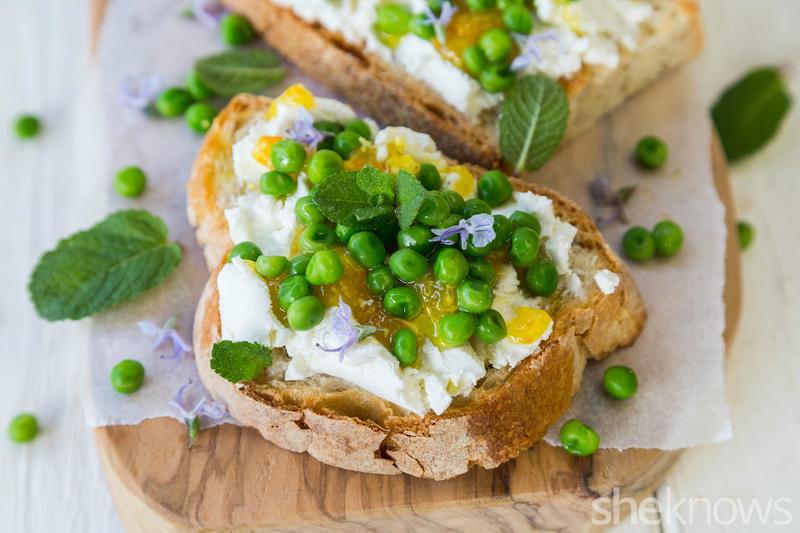 Little bits of mint and blanched peas perfectly balance out everything and give it a fresh, spring feel. Over medium heat, bring a small saucepan with water and salt to a boil. When it boils, blanch the peas for 3 minutes, and then with a slotted spoon, transfer them to a bowl filled with ice and water. Drain well, and set aside. Distribute the goat cheese on the bread, and then add a teaspoon of orange marmalade on top. Sprinkle on the peas, and then season with salt and pepper.